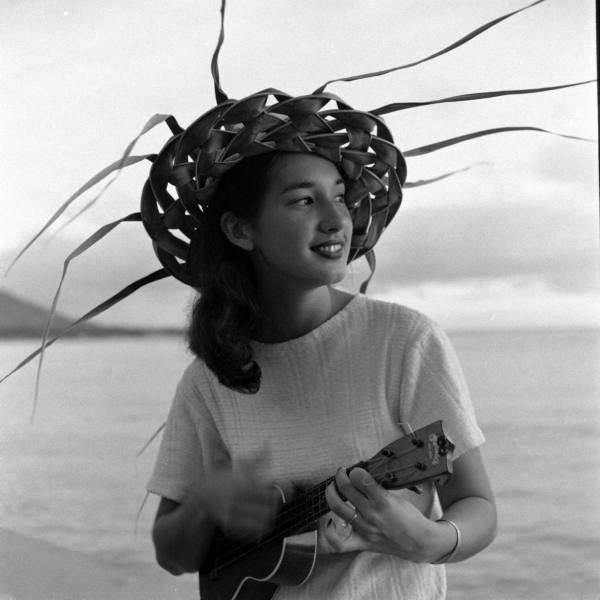 Photo of a young woman strumming a ukulele. Photograph by Eliot Elisofon. Honolulu, Hawaii, USA, January 1948. I've seen this around the web of late, but the image was reversed (unless there was a ukulele luthier named nitraM that I'm not aware of). So I've fixed it. Great shot, isn't it? I remember the same girl in another picture, published on the second issue of the Ukulele Occasional. On that one, taken in 1952, she was going to take her first trip to the mainland and had a pineapple ukulele in her hands.